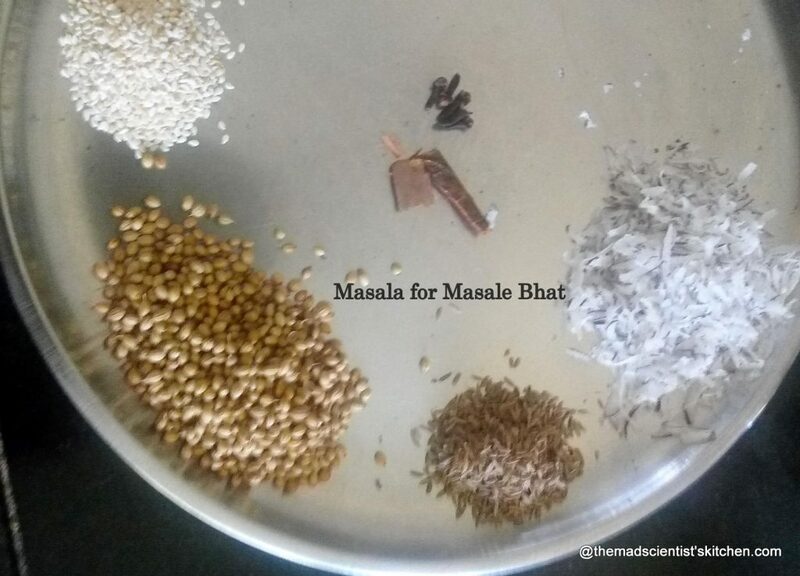 During my second pregnancy, Masale Bhat was what I craved!! lot of buttermilk, just to prevent heartburn as she put it. Wow, that was bliss!! one said it was strange, yes strange! Her choice of words left me feeling that I should make this rice more often. local ones are light green and the Belgaum ones are dark green. you can just chomp on as you are chopping the veggies. After ages , have made this strange bhat called Masale Bhath. Here I have used just gerkins but you can use peas, cauliflower or brinjals. I have copied it straight from the Futura Cooker cook book. The method of cooking is different as there is no whistling in the kitchen with the Futura cooker plus cooking is faster. You can make this in ordinary cooker and remove after 2 whistles also use 1 ½ cup of water for every cup of rice. Allow the pressure to fall naturally. 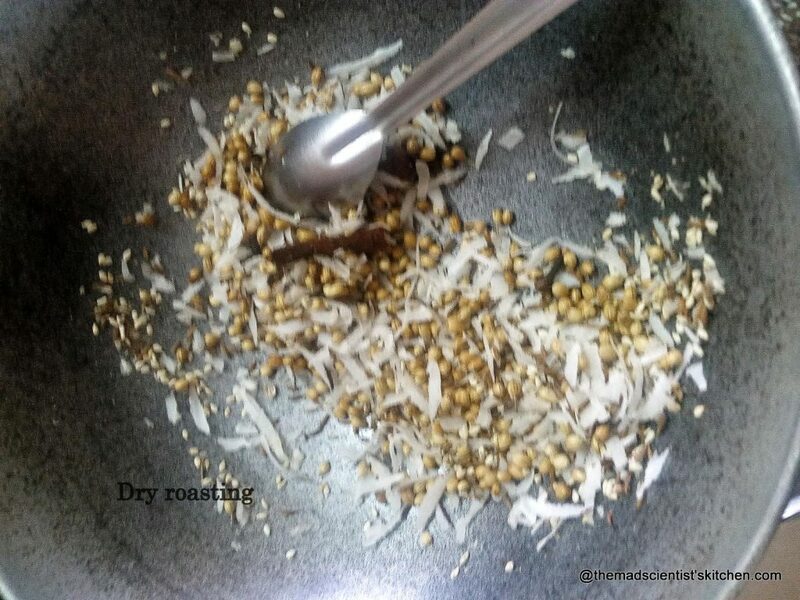 In a pan, roast together copra, cloves, cinnamon, sesame, coriander and cumin seeds till copra is golden brown. Grind roasted ingredients into a powder. Heat oil in a cooker for about 3 minutes. Add mustard seeds. When crackling, add curry leaves, asafetida and chillies. Stir for a few seconds. Add gherkins. Stir-fry for about 3 minutes. 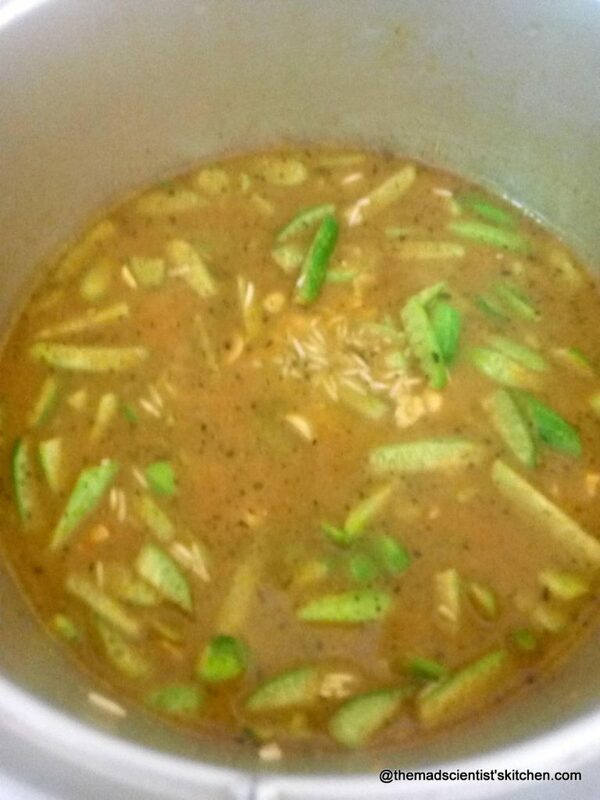 Add rice. Stir-fry for about 3 minutes. Add powdered spices, salt, cashew nuts and water. Stir. Remove cooker from heat. Allow it to cool naturally for 5 minutes. Press fingertip control lightly to remove pressure. Open cooker. Serve hot garnished with coconut and coriander. I love mine with a lot of curds. P.S. The pictures are by kid no 2. her biiiiig complaint is I do not post her pictures and so I have used only what she has clicked where she has removed the gherkins. I ma sorry but i do not want to disappoint her. That’s very alluring and appetizing one !! 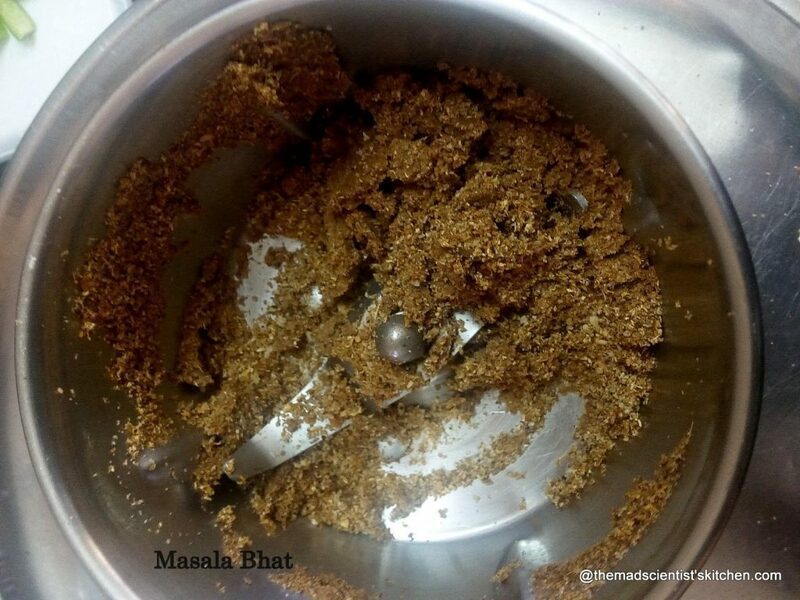 You can link this to the event..
Definitely a super flavourful masala bhath. Your write up brought me some of my cravings' memories. I used to love maggie, top ramen noodles when I was pregnant. Don't know why. I cannot stand that now. 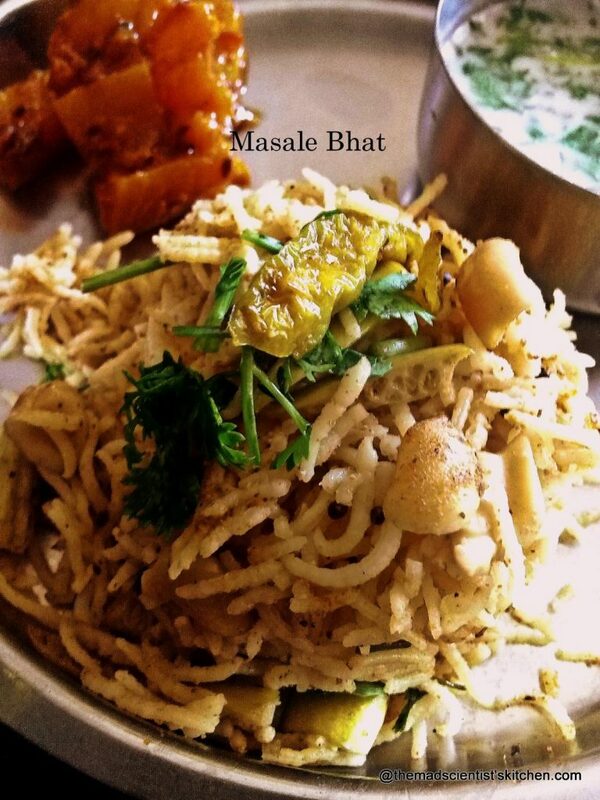 Delicious and flavorful one pot meal.Nice click by your cute little one. Seems delicious from the picture.I think his should be accompanied with a raita.